Oddbods, the Emmy nominated children’s program from One Animation, takes a leap off the screen and into the toy aisle with its highly anticipated new toy and plush line Oddbods Buddies! 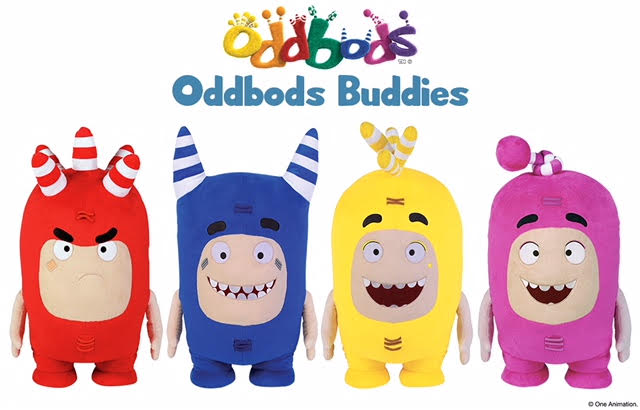 The Oddbods Buddies are tough enough to take on any roughhousing but soft enough to snuggle and squeeze. 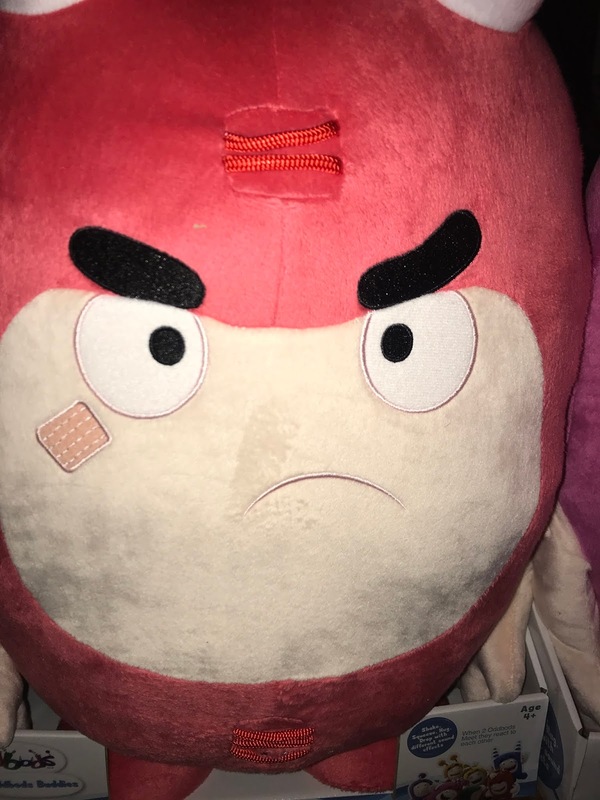 Each character features their iconic sounds and phrases, as well as a unique facial expression to reflect their individual personality. To activate, simply shake your Oddbods Buddy. The new line is sold exclusively at Target Stores nationwide. 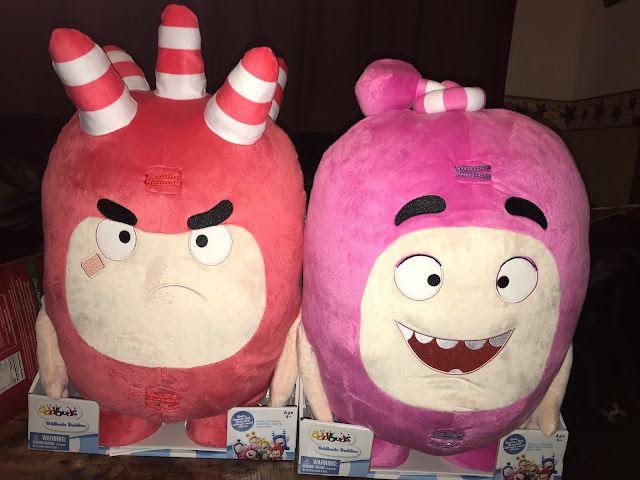 I was so excited when the Fuse and Newt Oddbods showed up at my home! They are big and fluffy and so much fun to watch interact with eachother! They operate on 3 AAA batteries which are included. Check out my Youtube video of the two of these Oddbods interacting! Visit the Oddbods Official YouTube Channel to watch the Christmas Special and other fun episodes! Already an international phenomenon, Oddbods is a non-dialogue animated series that follows the comedic adventures of seven hilarious, very individual and quirky friends as they survive the perils of everyday life, where ordinary situations spiral into extraordinary events. 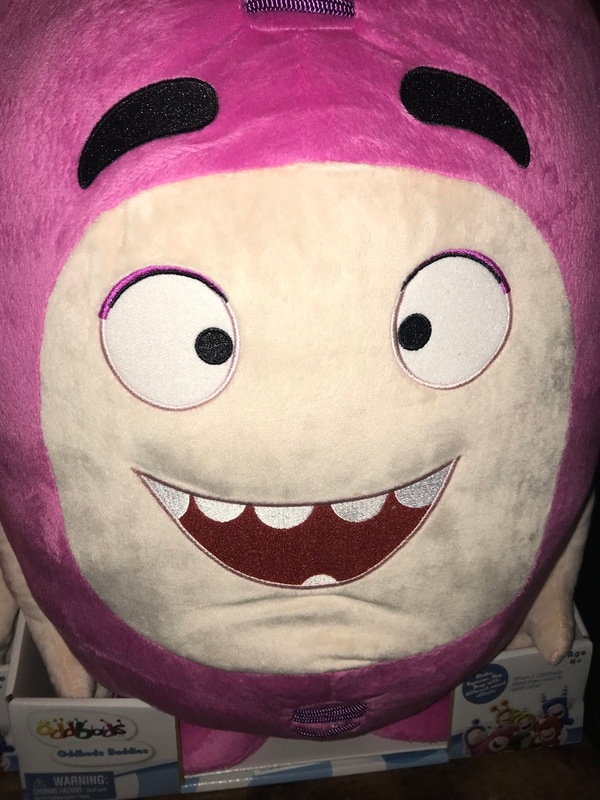 The new line brings the Oddbods world to life through play, as it successfully captures their humorous and highly relatable personalities through a collection of interactive toysand plush. My grandsons would enjoy these toys! Oh, boy, these are bound to be big hits. They're oddly adorable, lol. LOL their faces are priceless they are so cute.